Traffic Guidance Schemes, Traffic Control Plans - Sydney, Wollongong etc. 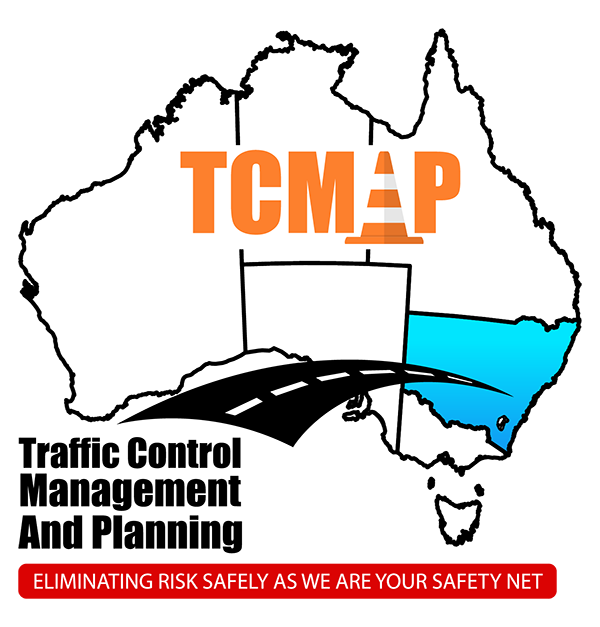 Traffic Control Management and Planning TCMAP is your “one stop shop” for traffic guidance schemes (TGSs), also known as traffic control plans (TCPs), within Sydney, Wollongong, Nowra, Goulburn and all regions between. With years of industry experience, our expert service covers the full spectrum of the traffic planning process including site visits, plan designs, permit applications and more. 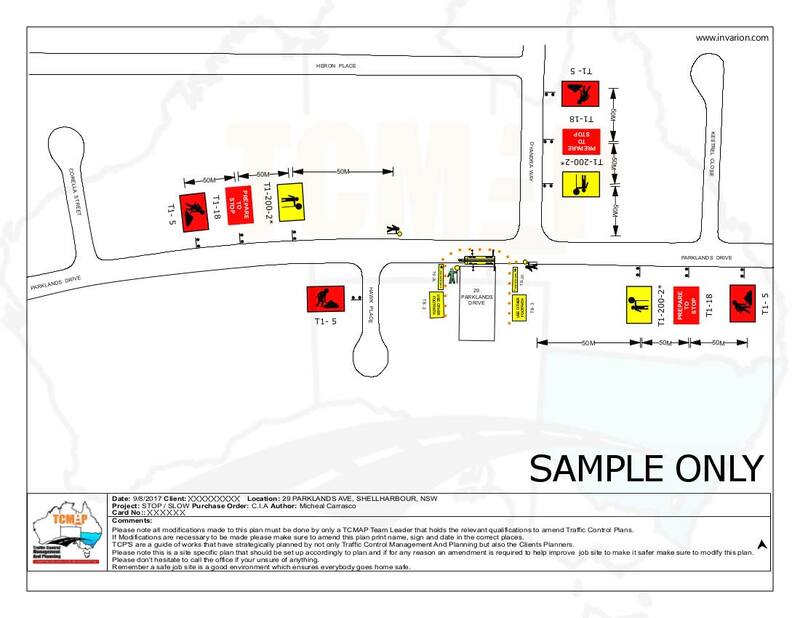 So, contact TCMAP now for the best Traffic Guidance Scheme professionals. What are Traffic Guidance Schemes? A traffic guidance scheme (TGS) is a necessary safety document for any work which might impact a public road or footpath. 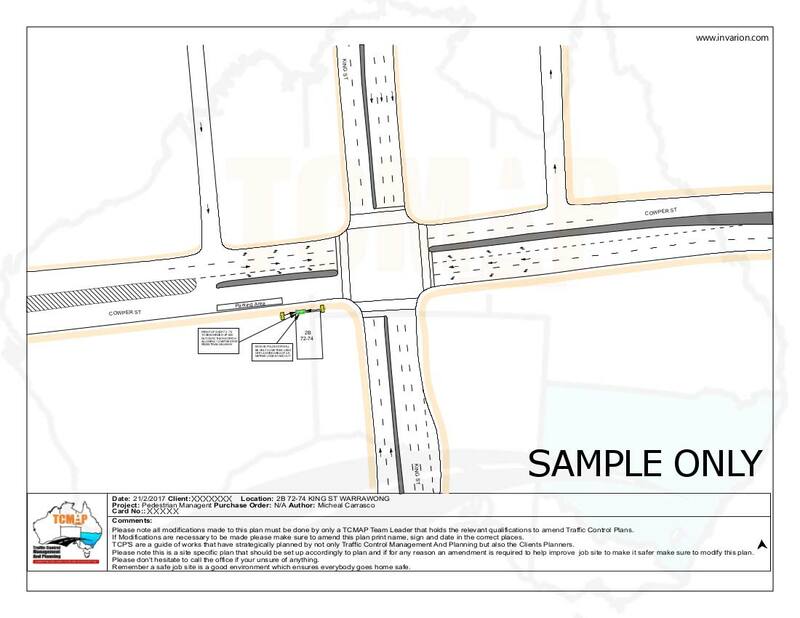 The TGS depicts the roadway at your worksite, specifying the placement of proposed traffic control measures and other details. These measures - which might include signs, cones, barriers and traffic control personnel - help maintain safe movement of pedestrian and vehicular traffic within and around your work area. 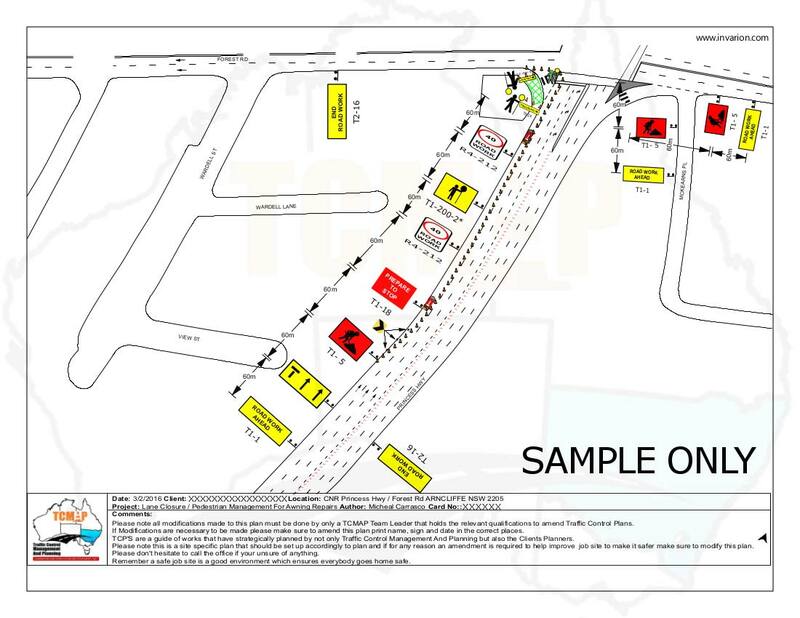 A TGS was previously known as a Traffic Control Plan (TCP). When do you need a Traffic Guidance Scheme? You will require a traffic guidance scheme for any work which impacts a public road or footpath. Any time you are planning new construction, renovations, or similar projects that involve work being carried out less than 1.2 meters from the road, you will need to consider whether you require a TGS. Before you commence work, you will need to obtain a permit from your local council. 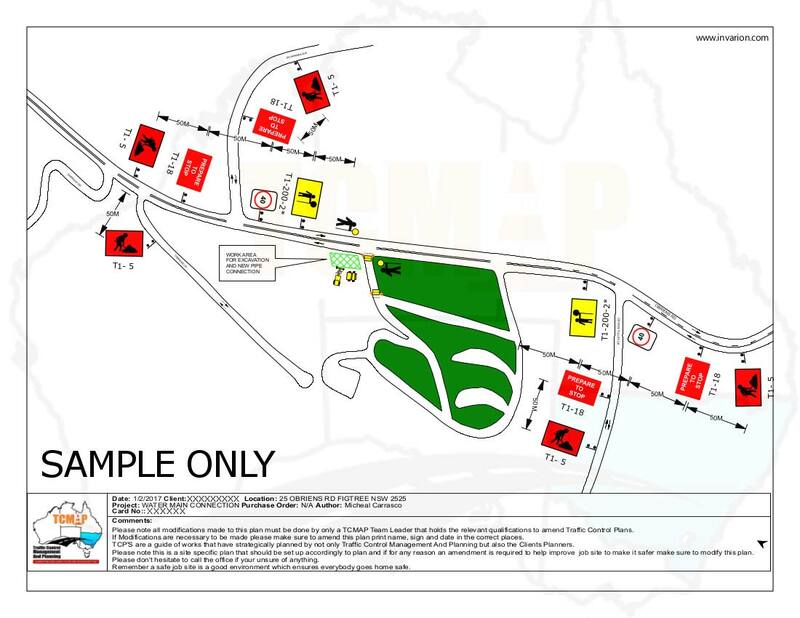 In order to obtain the council permit, you will need to submit a traffic guidance scheme for approval. Only TGSs that meet all the local council's requirements will be approved, so an inadequate traffic guidance scheme will lead to your permit being denied by the council. Designing a professional traffic guidance scheme is about more than just delivering a document. At TCMAP, we offer end-to-end processing, to ensure our clients' lasting satisfaction. When helping clients with particularly large or difficult works, TCMAP makes on-site visits. By attending worksites with you, we will determine resource requirements and establish safe practices for your upcoming projects. If you are unsure as to what will be needed for ongoing works, a site visit can be especially helpful. You can rely on our road traffic experts to analyse each situation with great care. Our highly skilled team will consult with you to develop a traffic management plan for your work site. We have years of experience designing traffic guidance schemes that meet all requirements set out by the relevant road authorities, including councils, state authorities and police. Our history of successfully working with clients within the Sydney, Wollongong, Nowra and Goulburn region has demonstrated our commitment to keeping up to date with NSW state and local regulations. Don't put up with the headaches incurred by a poorly-designed traffic guidance scheme! Traffic guidance schemes must meet stringent council specifications, so a sub-par TGS could wind up wasting your time and resources on revisions and resubmissions. 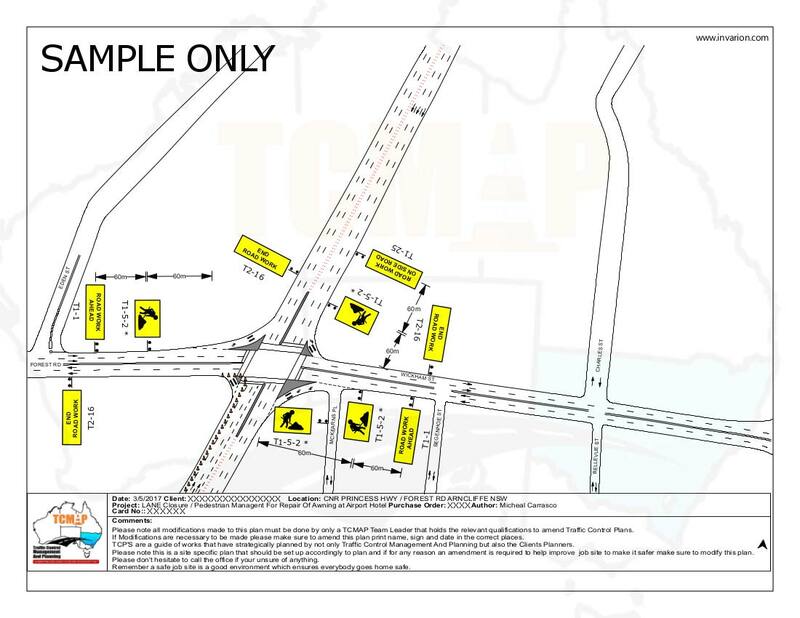 Using the latest planning technology and our expertise, TCMAP designs traffic guidance schemes that meet all professional and legal standards. Depending on the scope and location of your construction project, you may require a Construction Traffic Management Plan (CTMP). These are subject to additional guidelines and requirements, especially concerning the passage of construction vehicles between the work site and the road. They include detailed routes and diagrams describing all aspects of your project's impact on the surrounding traffic. Fortunately, Construction Traffic Management Plans are also within our area of expertise. We can help you determine if your, project requires a CTMP and work with you to create documents that exceed expectations. Our extensive knowledge with council guidelines and practices is your protection against unexpected delays and costs. 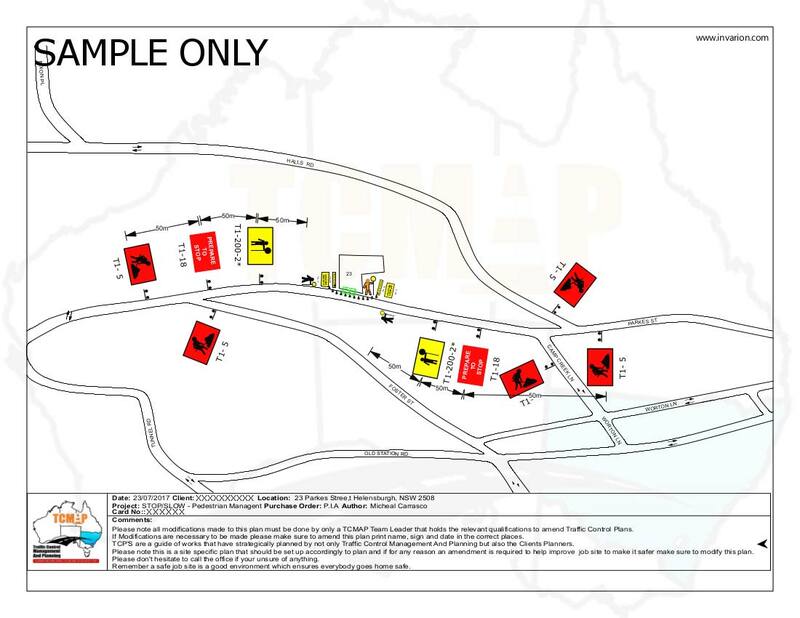 Once a traffic guidance scheme has been designed and completed, we are able to apply for the relevant permits and approvals necessary for your works to be completed on the roadway/pedestrian corridor. We work for you on your behalf, saving your time and reducing stress, so that you can go back to working on your business. Our service area includes greater Sydney, Wollongong, Nowra and Goulburn. The local councils within our service areas are listed below. In most cases, following the link for each council will reveal a map of the local government area governed by the particular council. For enquiries regarding traffic guidance schemes (traffic control plans) and the related services we provide in the Sydney, Wollongong, Nowra, Goulburn area, please contact us on 0490 324 143, Monday to Friday, 7:30am – 5:00pm.